Finishing 2016 with a 9-4 record, football enters their fourth season under coach Bobby Petrino. Dropping the final three games of last season, Louisville looks to rebound in their season opener Sept. 2. The second annual TLC weekly football position breakdown is here. Our staff will take an in-depth look at each position group every Sunday, finishing on Aug. 20. Our first group we dive into is the quarterbacks. There’s not much to say about Jackson that hasn’t been said. 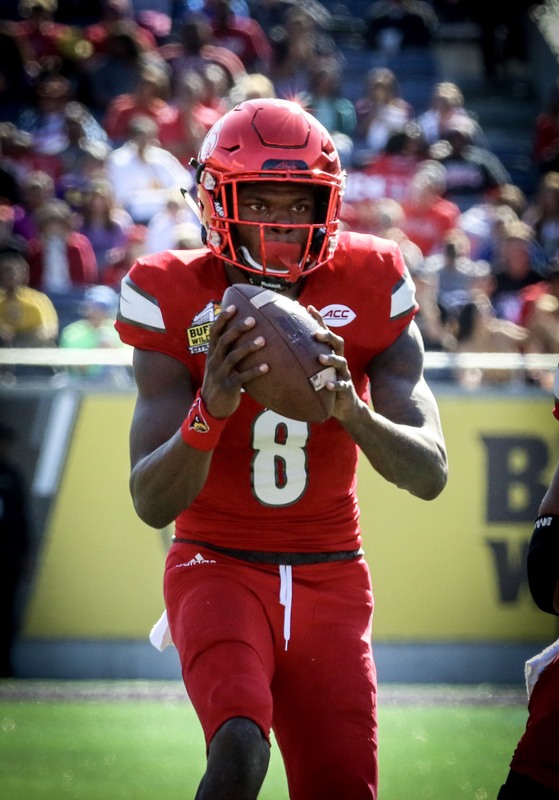 Cardinal fans knew his potential after watching the freshman light up Texas A&M in the Music City Bowl, but calling the dual-threat quarterback a Heisman winner seemed far-fetched. However, Jackson hurdled his way into the Heisman discussion during the 2016 season and silenced many critics. The Heisman winner showed no signs of slowing down after a five-touchdown performance against then-second-ranked Florida State. Jackson finished the season with an ACC-record for most rushing yards (1,571) and rushing touchdowns (21) by a quarterback. While it may get lost in his game’s glamour, Jackson must improve in passing decisions, going through progressions and ball security. If he is able to transition to become a pocket-passer, Jackson could be in the discussion for another Heisman trophy. Receiving offers from college football blue-bloods such as Alabama, Auburn, Florida, Ohio State, LSU and Notre Dame, Pass will backup Jackson in 2017. Redshirting as a freshman, Pass ended high school with some impressive rankings, but he is still a raw prospect. “Puma” Pass had his first chance throwing for a Louisville crowd in the 2017 spring game. He threw an unimpressive four interceptions and missed multiple open throws. The 6-foot-5, big-armed quarterback will likely see the field only in blowouts this season, but is priming himself for a big 2018. From Hinsdale High School in Illinois, McCormack catapulted from a big senior year into a walk-on spot at U of L. Passing for six touchdowns during the second round of state playoffs as a senior, McCormack ended his final season with 3,041 passing yards and 35 touchdowns. The younger brother of former U of L quarterback Kyle Bolin, Clay Bolin played his freshman season at Morehead State and transferred to Louisville in January of 2017. At Bourbon County High School, Bolin passed for 3,002 yards and 23 touchdowns in his senior season and owns every passing record at his alma matter. Bolin doesn’t have the biggest frame — 6-foot and 190 pounds — but has a strong arm and drives the ball into receivers.